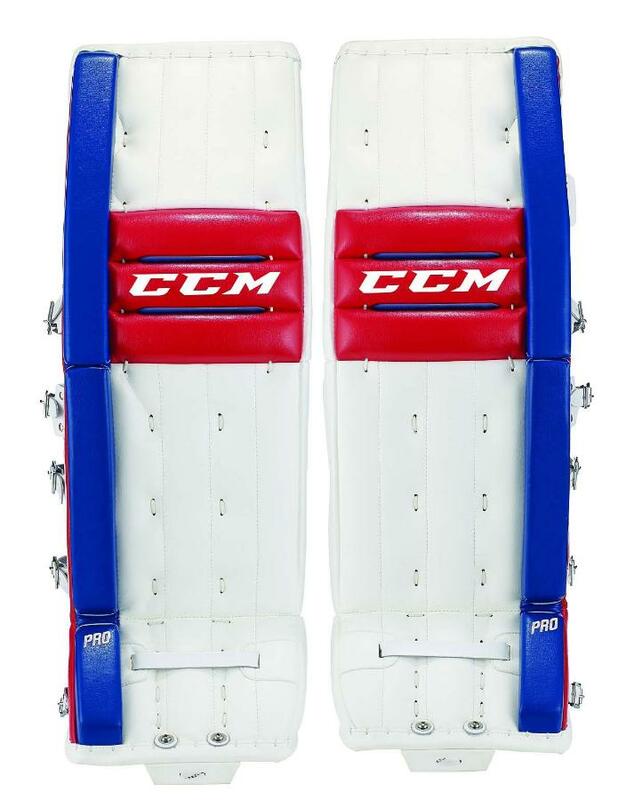 CCM Retro Flex Pro Leg Pads | Sports Etc. The Retro Flex series brings a classic look to the newest innovations with the collaboration of E Flex technology and a vintage graphic. With the addition of custom options like a super-tight fit leg channel, the goal pads play like a natural extension of your leg and with a soft 90 degree boot angle to give you a deeper push. The flat inside edge gives a solid seal on the ice and the mini knee rolls reduce rebounds. Sports Etc Performance To Value Rating– 8 out of 10. A softer faced pad with traditional knee rolls, which is great for any butterfly goaltender.